Here’s an interesting couple of questions that we were asked the other day. 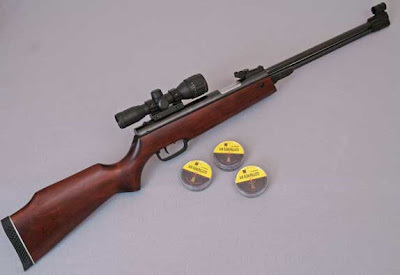 As the QB36-1 is a relatively unknown air rifle, the answers may be of interest to you, too. The QB36-1 is a mid-powered underlever-cocking springer. It’s a solid gun with very few plastic parts and a wood stock that’s pleasant to shoot. You can read more about it on our web site. 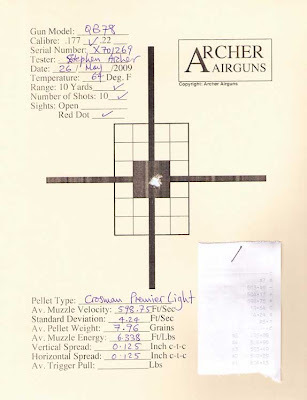 In our Gold Service testing for the QB36-1, I’m producing test targets in the 0.7-inch to 0.75-inch CTC range for 10 shots at 10 yards off open sights or a 1x red dot sight with “The Peak” wadcutter pellets. So how does this compare to the QB78? 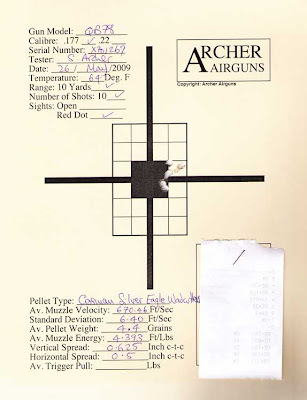 Well, my average QB78 groups are in the 0.5 to 0.6-inch CTC range under the same circumstances, but I’m really NOT a good springer shot and I believe that the inherent accuracy of the gun is better than I can shoot it. And, of course, fitting a scope will help, too. So, I would say that the QB36-1 is an accurate air rifle for the price with QB78-level accuracy - which is a good recommendation in most people’s books. Our testing shows muzzle velocities close to the manufacturer’s claims of 700fps in .177 cal, too. And the manufacturer? 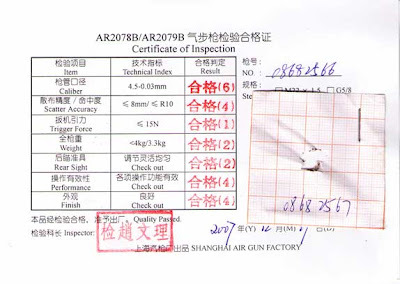 Well, it’s our friends the Shanghai Airgun Factory - the manufacturers of the much better-known QB78 family. The QB36-1 is an Industry Brand product and you can see it on the factory website. Where Do I Buy Duct Seal For Your Silent Pellet Traps? We're asked this question very often! 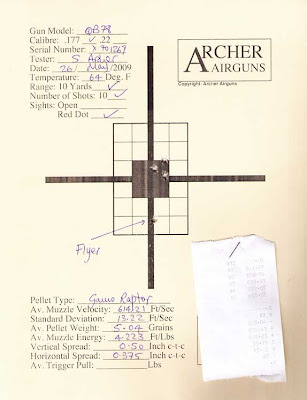 And yes, everyone knows that you can buy it from Archer Airguns, but it's expensive because of the shipping. We recommend that you purchase this locally from Home Depot, Lowe's or one of the other "big box" DIY centers. But you have to know where to look. Duct Seal is found in the electrical section, usually tucked out of the way somewhere. You may need to ask for it. You're looking for one pound lumps of the stuff, it's a dark gray color (maybe shrink wrapped onto brown card), not an attractive-looking product - but it's ideal for use in our pellet traps. 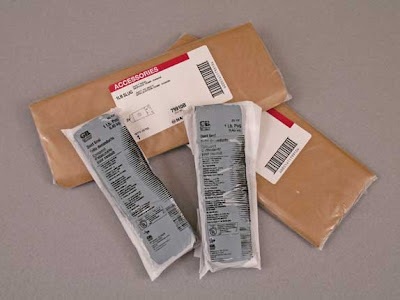 We've tested and recommend "GB" (Gardner Bender) and Halex brands of Duct Seal - that's what we ship and they work fine. Both brands are pictured above. Oh, and please remember, our "Silent" Pellet Traps are designed to be used with Duct Seal - not plumber's putty or any other kind of putty. We've had some customers try different types of putty because it's easier to find or cheaper, but they've always been disappointed with the results. Here’s one “do” and two “do nots” when using the QB57. After you’ve been shooting the gun, it can be very difficult to unscrew the barrel locking ring to take down the rifle. The ring locks tight. To overcome this issue, pull out the cocking lever a little - not a lot and certainly not enough to start cocking the gun - and then unscrew the locking ring. Now it’s easy to turn and you will be able to separate the two parts of the gun. First. When cocking the gun, do not hold it by the pistol grip. If you do, the pistol grip can snap right off and you’ll need to purchase a new QB57 Stock Kit from Archer Airguns! Instead, hold the gun by the wood fore stock around the barrel. Second. Do not hold the gun tightly when shooting. Hold the pistol grip lightly to keep the gun on target and pulled into your shoulder. And don’t grasp the forend tightly when shooting. Simply rest the fore stock on the open palm of your hand. Shooting the gun in this way will improve your accuracy considerably! There’s a recent and unexpected design change that’s been made to QB78 family air rifles with serial number starting at around 08686XXX. This change comprises a new design of tube cap and a longer main CO2 tube. 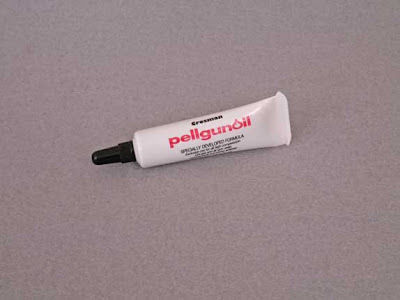 The tube cap itself is about 1/2-inch longer than the previous version used on all earlier guns - as you can see from the photograph. Because of this, the main tube on these guns is correspondingly 1/2-inch longer. 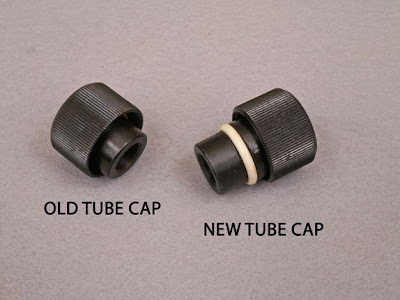 Although the threads are interchangeable, the caps themselves will not work properly if used on the “other” model of main tube. The new design certainly makes it easier to change a defective tube cap O ring, but - apart from that - it’s not so easy to see the benefit of the change. Removing the new tube caps is quite difficult when new - the tube cap needs to be pulled hard and wiggled a little - although this becomes easier with some use. And the cap benefits from being pushed square down onto the main tube when fitting. 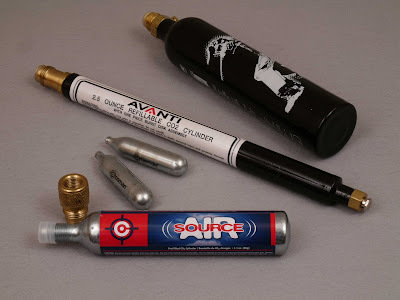 The Tube Caps available from Archer Airguns are all the old pattern.